I pre-ordered the DAN Cases A4-SFX on Kickstarter a while back, and it just happened to finally ship while we were putting together systems for this year's builds for Dreamhack Austin. We packed a fair amount of power into it's tiny enclosure and have been pretty pleased with the resulting performance. Something we kept an eye on in addition to CPU and GPU load (which you can see in the side bar), was the M.2 drive. For mITX systems, you often install the drive on the underside of the motherboard where airflow can be limited. However, with the A4-SFX, the airflow was sufficient to keep the M.2 at a cool 55C under load. You can watch the livestream archive if you're curious to watch the build came together and check below to see a few benchmark results. I was thinking more along the lines of some oak and aluminum sheeting ;) Maybe some mesh. Love these builds!! So tiny! I remember the good old days when 16 gigs of ram was like $75. i love sff builds and you guys did a great job at it!!! hey, great build, if you wouldn't mind, what is the possibility of putting a mechanical 3.5 drive in the chassis aswell? or is it full as is. thanks, Jordan. also, this build is so good I'm thinking of copying it, I'm pretty sure copying isn't a bad thing. Looks fantastic! Love the clean look of this tiny build! Absolutely beautiful. This is my end-game. I'm set to preorder the new version of this case in Feb which has support for a 92mm rad, so hyped! is your m.2 ssd attached to the front or back of the mobo? if at the back, do you know if it throttles or its highest temps? 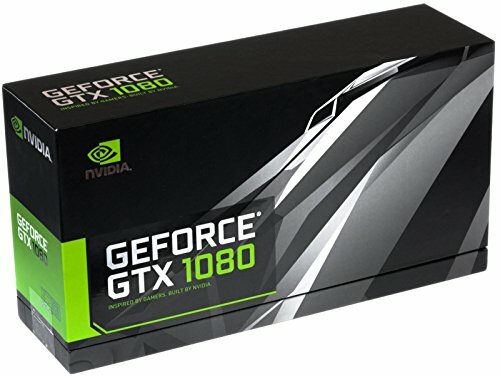 Where did you get the 1080..was it on the nvidia... what date do they sell and what time... I have been waiting to buy one for months and always check the website and it always says "out of stock" or "notify me" And of not what store did you buy from-what date and time...? I've had both of mine for years at this point. Hi isn't this CPU temp under load is pretty high? I'm thinking to copy this build too, but temps under load set me off a lol bit. Yep! I wanted to go as small as I could while still getting a full size GPU. The RAM is DDR4-3000. RAM speed has very little effect on performance using Intel CPUs. I didn't go crazy on RGB RAM or something fancy because there is no window. Team RAM is actually really good (Dark is a series line of theirs). Tom's hardware has some of their modules listed in their 'best computer memory' page.